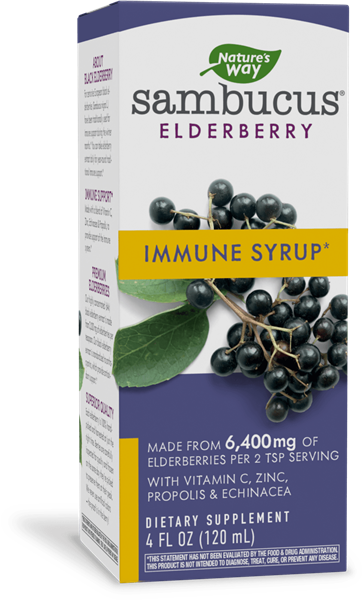 Sambucus Immune Syrup / 4 fluid oz - Nature's Way®. Adults: Take 2 teaspoons (tsp) (10 mL) daily. Children: Take 1 teaspoon (5 mL) daily. Adults: Take 2 teaspoons (10 mL) twice daily. Children: Take 1 teaspoon (5 mL) twice daily.